Attorney for Israeli-American teenager accused of making threats against Jewish targets in the US says client has made 5 suicide attempts. 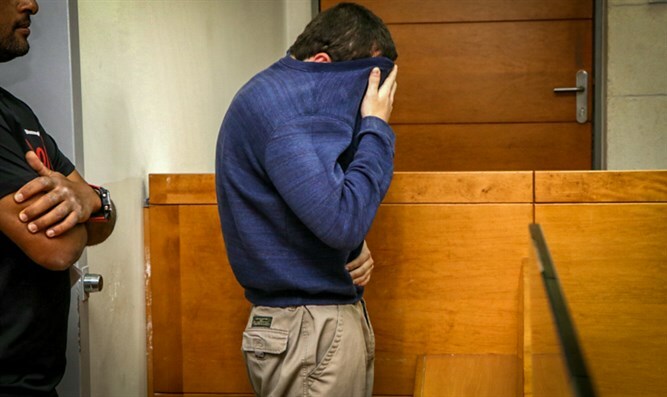 JTA - The attorney for the Israeli-American teenager accused of making threats against Jewish community centers in the United States told an Israeli television news program that he has attempted suicide five times in the past two weeks. The teen from Ashkelon, in southern Israel, is currently in the psychiatric ward of an Israeli hospital, after being charged in Tel Aviv district court with thousands of counts on offenses that also include publishing false information, causing panic, computer hacking and money laundering. He was arrested in Israel in March in a joint operation with the FBI and cannot be named in reports originating from Israel. According to the indictment, the accused hacker, 19, who has dual U.S. and Israeli citizenship, made threats to 2,000 institutions around the world, including the Israeli Embassy in Washington and other Israeli diplomatic missions, schools, malls, police stations, hospitals and airlines. Israel’s Channel 10 news on Wednesday night played recordings of three of the threats made to places in the United States – one to a Jewish school, one to a Jewish hospital and one to police in which he said he was holding hostage the family of an American official and would shoot them. All of the calls used voice-altering equipment and the conversations were in English. “The teenager I am representing is in a bad state. In the past two weeks he has made five suicide attempts,” the teen’s lawyer, Shira Nir, told Channel 10 news. The attorney also said that a crowdfunding campaign had been launched to help her client pay for medical treatment. The teen’s parents and attorney have said he has a benign brain tumor that affects his behavior, as well as a very low IQ, and that he is on the autism spectrum. The teen was born in the United States; the family moved to Israel when he was 6. He was home-schooled from first grade and, according to his mother, rarely left home and has no friends.